Purpose: To provide overall support on social media and marketing campaigns for Theatre-Universe. 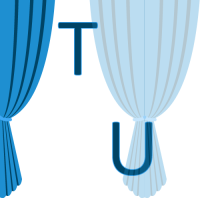 Key duties: Provides technical expertise and support of Theatre-Universe on Facebook, Instagram, and other social marketing tools. Build your own personal portfolio in marketing. Outreach to theatre venues to establish new employer user database. Outreach to potential candidates to establish new employee user database. College graduate in computer science, marketing or related field, or equivalent experience. Accomplishments and track record in social media marketing. Passion for theatre and the arts. This is a self-supporting position. Approved marketing campaigns will be funded. Agrees with Theatre-Universe’s mission statement. Experience in web hosting, security, graphic design, social media marketing, etc.